Most Christmas albums are a real crock when it comes to the covers, but trust Polydor to come up with something very classy. This is the sleeve for Happy Christmas From James Last, issued at the end of 1972. 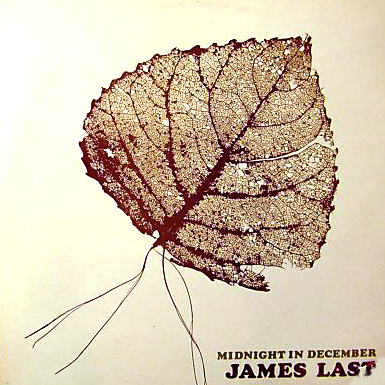 Classy isn’t something you normally prefix the words ‘James Last cover” with, but while the majority of his sleeves are bereft of almost any merit, every so often a good one slipped through, as here. The cover uses a single image of Christmas candles and bells, rendered in a typically seventies take on art deco styling. The graphic has then been doubled up and repeated diagonally to form an overall pattern. 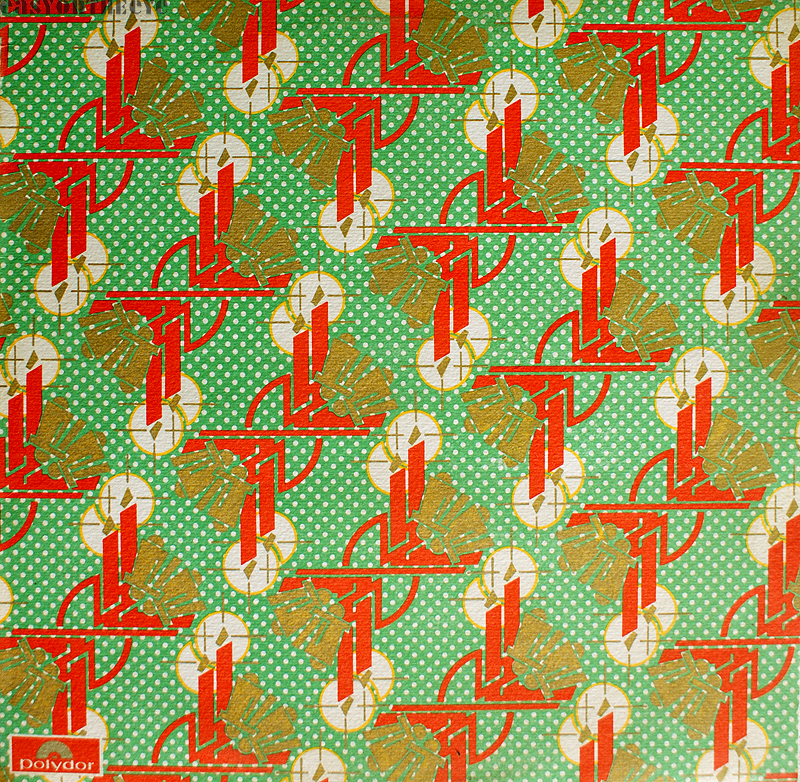 Printed in solid colors of red and gold (with a touch of yellow for the candle halo), against a bright green dot background, it cleverly achieves the aim of looking like a piece of Christmas wrapping paper. The effect is heightened by printing on a soft matt card, so the surface is quite rough, as old style wrapping paper often was. We have no information on who designed the cover. 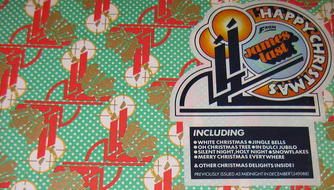 As the sleeve was so stylised, Polydor added a large sticker to the orginal cover, which gave details of the album title, tracks and the fact that it was a reissue. I mist admit I carefully removed this from my copy as it’s very likely the adhesive will migrate and stain the cover otherwise, and it’s very unlikely the designer ever envisaged it spoiling the look of the cover. The title is on the spine, with the Polydor logo buried in the bottom left corner. It turns out that the LP was first released as Midnight in December in 1966 in the UK (and Christmas Dancing almost everywhere else – Last albums often have many variations). Midnight In December appears to be a very rare edition. Strangely the cover had an image of a single decayed leaf on the front, which doesn’t seem particularly seasonal. Indeed it looks more like the sort of cover you might find on a rock compilation at the time. Perhaps this unusual cover contributed to its scarcity, as this edition can fetch over £50 today (figure from Oxfam’s online auction archive! ).